The Cobbled Classics are steeped in as much prestige and history as the Grand Tours of cycling, and offer the chance for the bigger, more explosive riders a chance to write their name into the annals of cycling legend. 2018, like any year, will see an exciting spring campaign fought out between some of the world’s toughest riders. 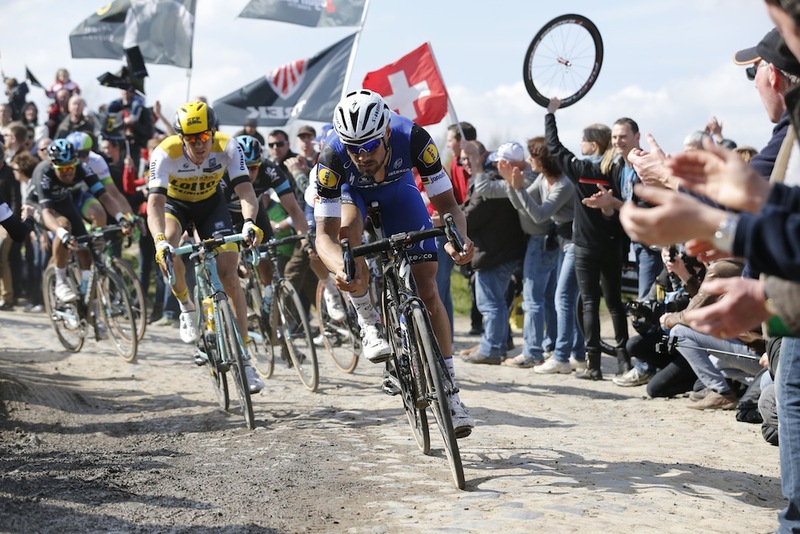 But there’s more to the cobbled Classics than Flanders and Roubaix. Riders begin a long build-up to the two monuments from late February, as cycling’s one-day specialists flock to Belgium for an opening double header of semi-Classics, Omloop Het Nieuwsblad and one usually for the sprinters, Kuurne-Brussels-Kuurne. The cobbles then traditionally take a break through most of March, as riders head to the likes of Paris-Nice and Tirreno-Adriatico, as well as the first monument of the year, Milan-San Remo (March 17). The cobbled Classics then come thick and fast with three in a week. E3 Harelbeke kicks things off on Friday, March 23, then it’s on to Ghent-Wevelgem the following Sunday (March 25). Ghent-Wevelgem, like the Scheldeprijs which sits on the Wednesday between Flanders and Roubaix, is one of the Belgian Classics that favours sprinters like Marcel Kittel and Mark Cavendish, featuring fewer climbs to create a fast-paced day. Then it’s semi-classic Dwars door Vlaanderen (March 28), generally the closest thing riders will come to the Tour of Flanders ahead of the race itself, with the course often including many of the same bergs, oudes and muurs like the Oude Kwaremont and the Paterberg. Cycling’s Classics season is littered with bridesmaids and so very few brides. Mathieu van der Poel says ‘it’s a small miracle he’s back on the bike again’ after his high-speed crash earlier this week.